43 days out from the November election, Gov. 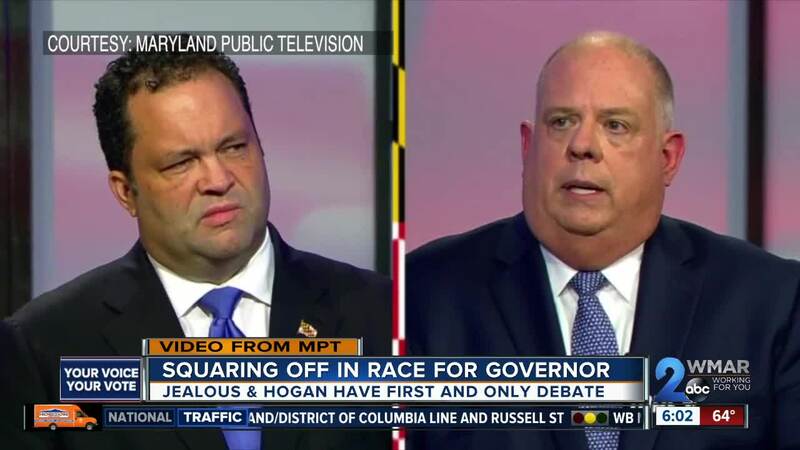 Larry Hogan and challenger Ben Jealous went head to head for the first and only gubernatorial debate scheduled. Both candidates say they feel good about how the taping went Monday morning. They both made their case for why they believe they're the best choice for the future of the state. "It’s really a question about whether we want to keep moving forward or you want to go in a completely different direction and I think most people feel that we are heading in the right direction. Mr. Jealous seems to disagree but I don’t know how many people agree with that," Hogan said. "We’ve got a chance here to move our state forward. I have plans on my website, benjealous.com, on every issue, how we will move forward. Then go look at the Governor's website. He doesn’t have any plans. He doesn’t tell you how we will move forward," Jealous said. A talk with both candidates after the debate taping shows a glimpse into the disagreements that will play out before viewers this evening. "I came here with a simple question on issues like transportation and education: If we have record funding, why don’t we have record results? And the Governor simply couldn’t answer the question. The obvious follow up question is if we don’t have record results, what's your plan? And the Governor couldn’t’ answer the question," Jealous said. "The Washington Post says his pie-in-the-sky proposals would blow a Chesapeake Bay-sized hole in our budget. I think everyone knows that most of his proposals are out there. He has no way to pay for them. People are going to judge that for themselves. My record is what it is. That facts are what they are," Hogan said. Both agree on one thing: how different their proposals for Maryland are. "I think there was a pretty clear definition of what the two of us are all about," Hogan said. "I think it’s now clear to voters we have a real contrast. We have a real choice. I look forward to the next 43 days," Jealous said. Absentee voting started two days ago and early voting is just a few weeks away. 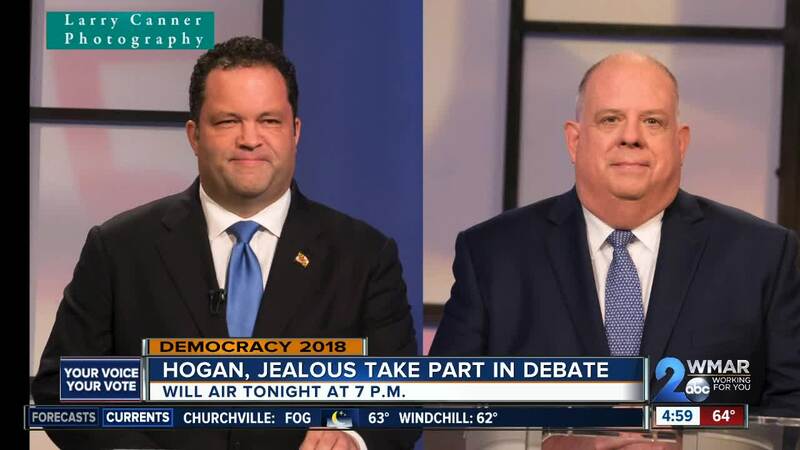 The one-hour debate will air Monday night at 7 p.m., hosted by Maryland Public Television. It's the only one scheduled ahead of the election. Both candidates made it clear they would have wanted to meet again, but blame the other for why it's not happening.